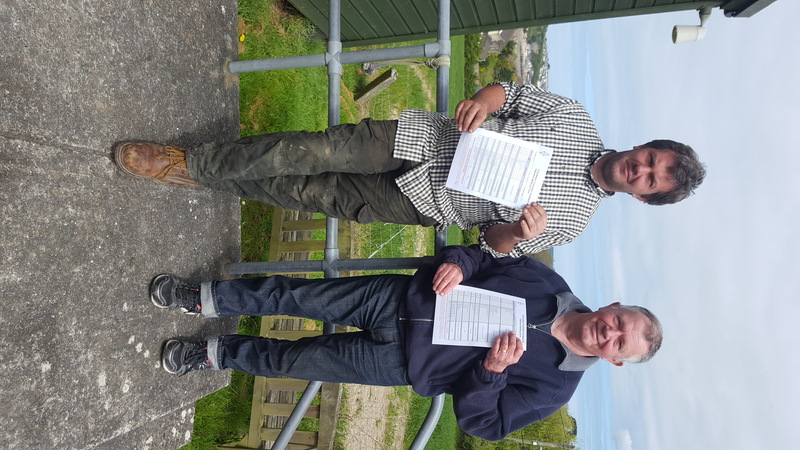 Congratulations to Michael (right) on passing his Intermediate exam following on from his success in the Foundation last month. His call is 2E0IHW. Michael is now studying for the full licence. Well done to Rob (left) who visited us from High Hampton and took his Foundation exam. We’re pleased to say he also passed and is hoping to take his Intermediate in the near future. 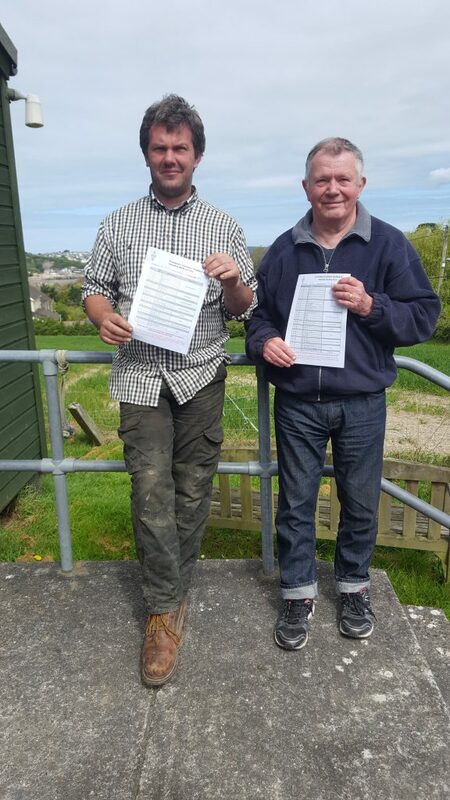 Congratulations to Michael and David on passing their Foundation exams today with flying colours. David now has the call M6IUI and Michael is going straight to the Intermediate exam. The club will be taking part in this year’s RSGB SSB field day on the weekend of the 3rd/4th of September. 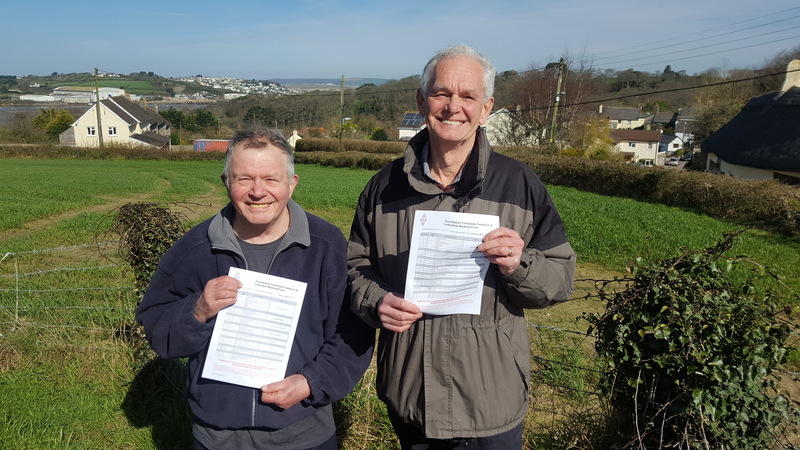 Lawrence and Viv have kindly offered the use of their field in Northam. We would like to get as many members as possible to join in to make this a successful event so we can still have a sociable weekend whatever the band conditions throw at us! 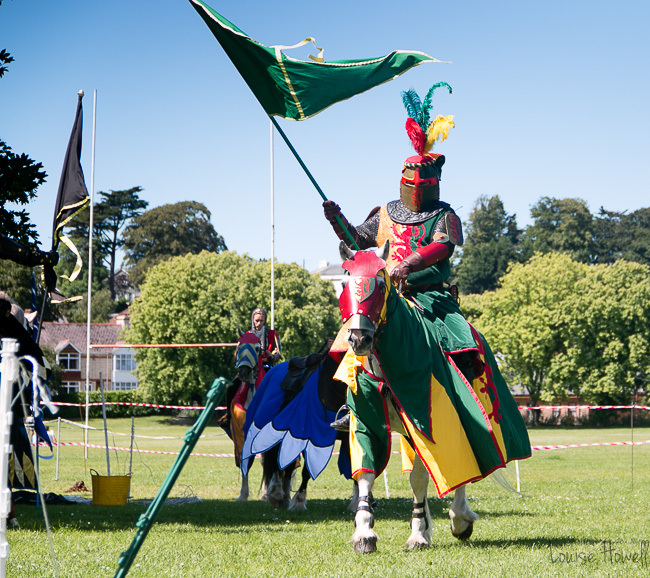 Details of the event can be found here: http://www.rsgbcc.org/hf/rules/2016/rssbfd.shtml we will need your help setting up the station and marquee on Friday, and plenty of operators over the weekend to share the workload. Please put the date in your diary. 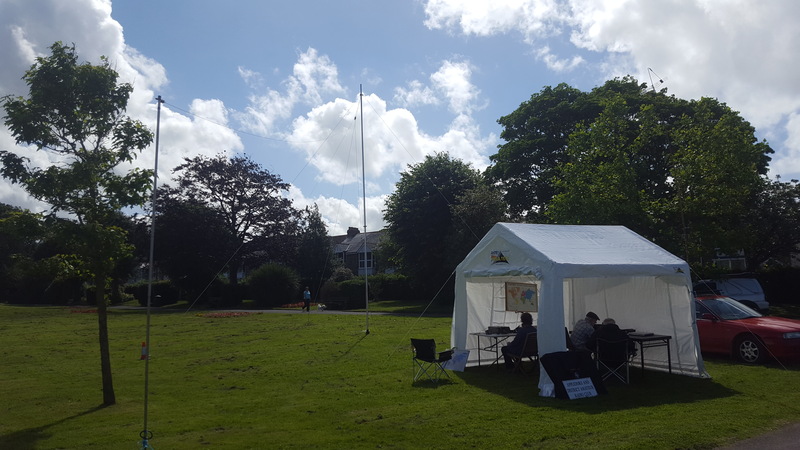 The weather was kind to us for our special event station at the Bideford Heritage day in Victoria park. The day started with a team building exercise…well definitely a marquee building exercise! The club’s Windom antenna was raised on the mast and we were up and running by 10.45am. Noise levels were very bad at +20db so we struggled to hear stations even though they could hear us just fine. We made around 50 contacts which although disappointing didn’t ruin the day. Thanks to all the usual suspects for all the hard work on the day, and good to see other ADARC members either popping down in person or calling into either the HF station or the 2m repeater, GB3DN. we had a lot of interest from the public, some of whom were lapsed license holders and I hope we have re kindled their interest in radio. We have been invited by the mayor of Bideford to put on a special event station at the Bideford Heritage Day on Saturday July the 2nd 2016. We hope to be up and running at 10am. Hopefully band conditions will be a little kinder to us this time! Unfortunately, band conditions undermined all the effort involved in putting on the club station at the South Molton Old English Fayre. Very few contacts were made, but not through lack of trying. The new club radio at least was a success. Thanks anyway to Helen (G0EOB) and Fred (G0EOA) for getting the wheels in motion and for supplying a generator at the last minute! Thanks to John (G3JKL) for organising the club station, Terry (G4CHD) for help getting fuel for the generator, and Graham (G1ZTJ) Jean (G6XYL), Keith (G0AYM) for their help. Thanks also to the ADARC members who popped in to show support. 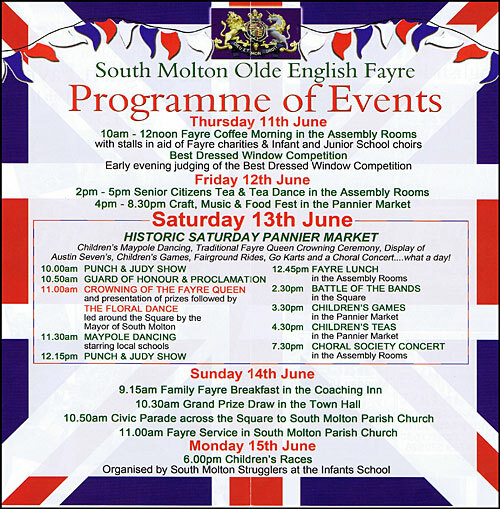 We will be running a club station at the South Molton Olde English Fayre on June the 11th 2016 (using our club call of GX2FKO), 10am start. Please call in for a chat! 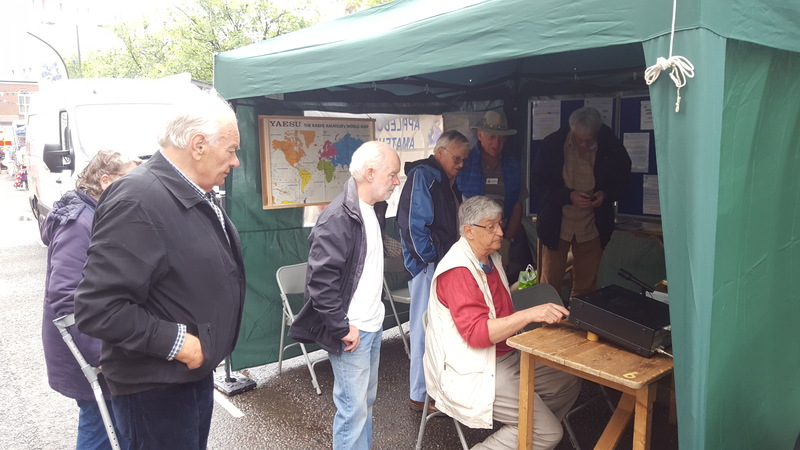 The Appledore club’s turn to run the RSGB100 special event station was a great success and enjoyed by all who took part. We contacted 586 stations on SSB, 133 on CW, 105 on PSK31, 93 SSB mobile and 24 2m FM. This entry was posted in G3JKL, Uncategorized on February 14, 2017 by admin.